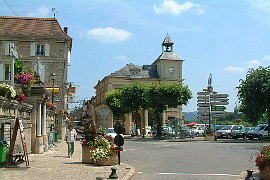 Campagne is a picturesque little village not far from Les Eyzies de Tayac. 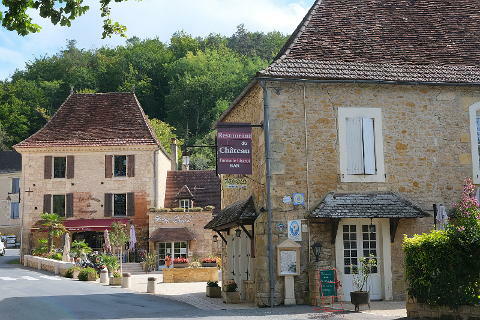 As you arrive in the village you are greeted by the sight of the large 15-18th century Chateau set in the middle of a peaceful park with a backdrop of the imposing cliffs of the Vezere valley. Campagne is a small village and so not a tourist destination in itself however if you are in the area take a drive to see it. Take a walk up the steep path leading to the graveyard. From here you get a superb view overlooking the wonderful mixture of roofs on the buildings below. 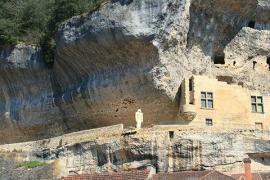 The village may be small but it is very pretty with its stone houses and perigordine roofs. The church, which dates back to the 12th century, has one of those flat bell towers that you occasionally see in the Dordogne. This one has space for three bells though one seemed to be missing the day I visited. 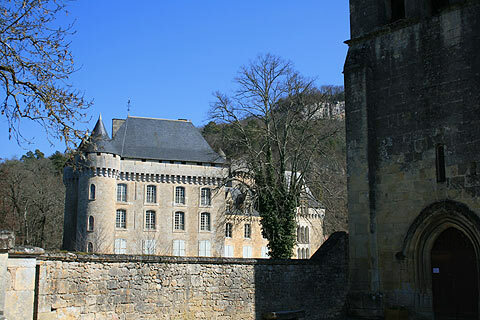 The 15-17th century chateau is owned by the French state and is currently being renovated and so perhaps will be open to the public at some time in the future. 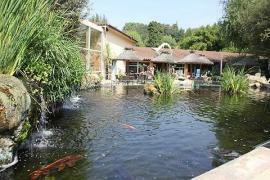 One of the bigger buildings in the village is the Hotel du Chateau which is a pleasant hotel and an excellent spot for lunch. 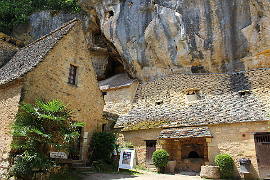 Behind the village a rocky hill rises up, part of the cliffs of the Vezere valley and on the top of this are some remains of a fort and a troglodyte village. 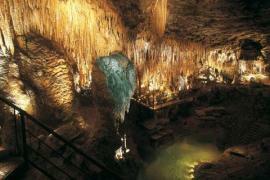 This area is very wooded and is criss-crossed with pleasant walks. 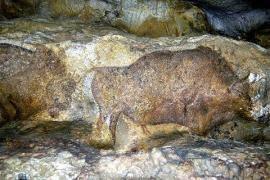 In the commune there is an archaeological site called the Roc de Marsal where the remains of a 3 year old Neanderthal infant was found. The skeleton can be seen at the Musée National du Préhistoire at Les Eyzies as can a reconstruction of what the child would have looked like. The 70 000 year old remains are in excellent condition and the Roc de Marsal is thought to be one of the oldest burial sites in the area. 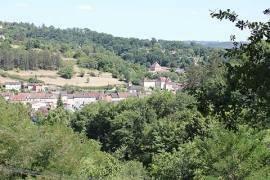 Campagne sits between the attractive riverside town of Le Bugue and Les Eyzies which is at the heart of the prehistoric sites of the Vezere valley. The beautiful river loops at Tremolat and Limeuil are close by along with a couple of viewpoints to get good views. 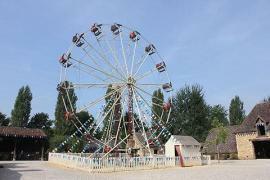 See our guide to the key places to visit around Les Eyzies for more ideas for your holiday.